Home » Uncategorized » Can I Still Claim My 2015 Refund? Unfortunately, you can no longer e-file your return. The e-file deadline for 2015 tax returns was October 15, 2016; which has passed. You are now required to paper-file your return. You can do this by creating an account with our site. This means that you must print, sign and mail your return to the IRS along with copies of your income statements. Will I be able to claim my refund? Luckily, the answer for you is yes, but the time is limited. Since the original tax deadline date for 2015 was April 18, 2016, you have until this tax deadline to claim your 2015 refund. April 15, 2019 is the last day to claim your 2015 refund. Otherwise, your refund will expire and go back to the U.S. Treasury. This due date also applies to those who filed extensions for their 2015 taxes. We advise that you file your return before the tax deadline to ensure that you don’t miss out on getting your refund. The IRS states that your tax return must be postmarked by April 15, 2019 in order for you to get your refund. However, we did notice that last year, when taxpayers were filing for their 2014 refunds, some were not able to get their refund because the IRS received it late. That being said, we advise that you file your return as soon as possible so you won’t risk that possibility. In order to file your prior year return, you will need ALL of your income statements. This includes all of your income statements such as a W-2, 1099, K-1, and any other taxable income. If you can’t retrieve your income statements, contact your previous employer or request an online income transcript from the IRS. For state information, you will need to contact your state department of revenue since the IRS transcript will not have your state withholding. If all fails, and you can’t obtain your W-2 statement, you can file Form 4852 with your tax return to estimate your earnings and state withholding. 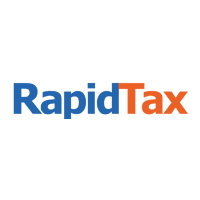 How do I file with Rapidtax? The process is fairly easy. All you need to do is follow these few steps! Submit your account so we can e-file your return! It’s that simple. You can file your federal return starting from $9.95. Check out your pricing options by clicking here. The IRS can hold your refund. Yes, it’s true. The IRS can hold your refund if you did not file any prior year taxes or use it to pay any outstanding tax debt you may have. Make sure that you file your 2017, 2016 or any other prior year taxes to avoid this issue. Don’t let your refund expire, create an account to claim your refund today!